IRLAM GATEWAY SERVICE STATION | G.B.R. ELECTRICAL LTD. 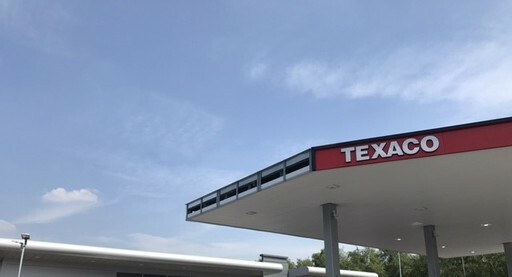 Continuing our long standing partnership with The Kay Group, we were appointed as the principal electrical contractor to works on the latest service station in their portfolio. 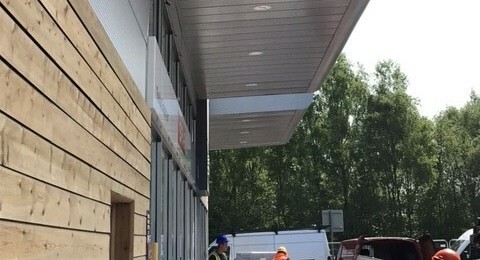 Scheduled for 16 weeks and the largest site to date, the project entailed ourselves to oversee the planning and installation of all electrical aspects both internally and to the sites forecourt area. 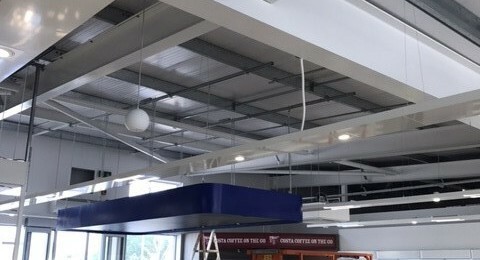 The site plays host to the countries first Greggs drive-thru and as such, additional lighting had to be accounted for to the rear of the site. 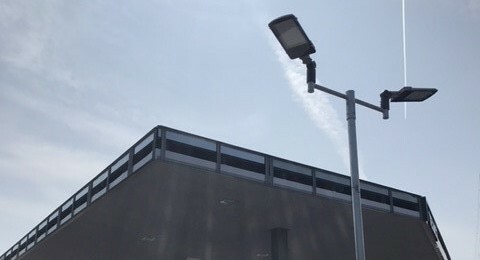 THE OUCTCOME To the perimeter and rear of the site we installed 22 LED streetlights, whilst the forecourt was fitted out with LED canopy lighting, jetwash and air vacuum systems. The design also included the installation of lighting to the exterior and side of the shop, whilst the under canopy pedestrian area was fitted out with an additional 9 downlights. 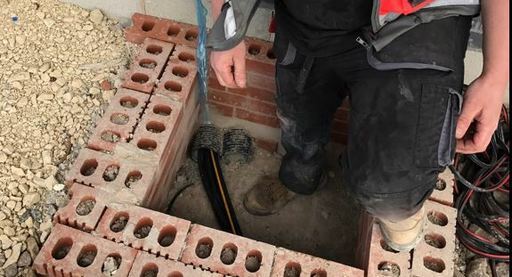 Due to the significant size of the site, a plant room was constructed to the side of the forecourt, allowing for large runs of SWA to terminate here opposed to at the shops main distribution board. The fit out of the shop interior consisted of LED track lighting throughout, whilst mood lighting was installed to the main shop area. Working off an exterior sensor, the mood lighting automatically adjusts the internal light levels to their optimum based on natural light conditions. 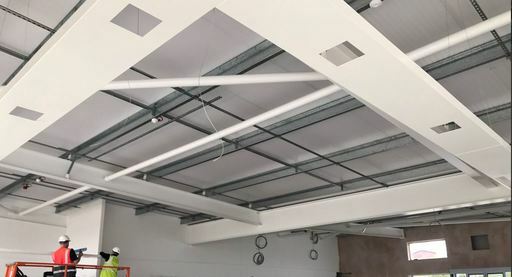 Our fit out was completed by the installation of emergency lighting, a fire alarm system and a CCTV supply throughout the site. Images copyright of G.B.R. Electrical Ltd.